We have long since been proponents of the blurred lines and shared values between beer, food and art - and we love to play within these realms. Very occasionally, a project comes along that somehow manages to encapsulate all of these things and more, celebrating one of the world’s finest artists in collaboration with one of the world’s outstanding galleries. This is Thousand Things. Starting this March, TATE is presenting The EY Exhibition: Van Gogh and Britain - showcasing the largest collection of Van Gogh’s paintings in the UK for nearly a decade. Some of his most famous works will be brought together from around the world – including Shoes, Starry Night on the Rhône, L'Arlésienne, and two works he made while a patient at the Saint-Paul Asylum, At Eternity’s Gate and Prisoners Exercising. They will be joined by the very rarely lent Sunflowers from London’s National Gallery. What you may not know about TATE is that their galleries boast some of the best bars and restaurants in the Capital, advocating flavour, seasonality, ingredients and often giving a platform to small, independent producers. While the art is the star of ‘The EY Exhibition: Van Gogh and Britain' show, it inspires creative work and ideas throughout the entire organisation across all facets in its multiple sites - all the way through to delicious menu dishes and drinks options. 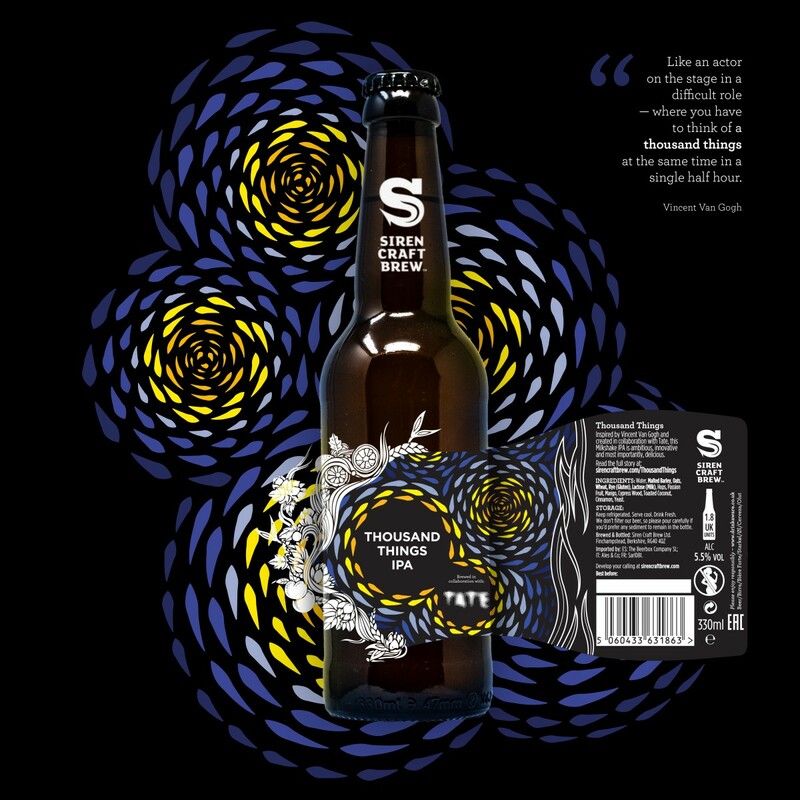 The team at TATE thought that it would be an awesome chance to brew a special collaborative beer, inspired by Van Gogh and suitable to give visitors a taste of the exhibition throughout bars, shops and restaurants, even pairing it up with some beautifully designed new seasonal food courses. We jumped at the chance. As a team we set to work researching Van Gogh, and found that not all art critics were immediately impressed. In his day, elements of his signature style like bright, heavy brushstrokes were viewed in some quarters to be sloppy, crude or childish - evidence that the artist was crazy! We took a different view, instead figuring that he was ahead of his time, an innovator. So although our instincts initially led towards a rustic farmhouse style beer focussing on sunflowers, together with TATE Eats we changed tack and instead pitched a big, bright modern beer – something we’re no strangers to! A milkshake-style IPA seemed to fit the bill. We chose to add toasted coconut, passion fruit and mango to create a harmonious marriage of full fruit flavour. Of course, tropical hops like Citra, Simcoe, Mosaic and Chinook contribute to the cocktail vibe and add a delicate bitterness. All of us at the brewery were drawn to The Starry Night. In its foreground looms a dominating flame-like cypress tree, which among other things, serve as a visual link between land and sky. We absolutely love using cypress wood in beer and did not want to pass up the chance to work in an amazing element to the beer that is also used symbolically throughout Van Gogh’s repertoire - to the extent that it’s come to represent the artist himself. As the tree links themes of the painting, cypress wood in Thousand Things augments the fruit-led aromas and tempers the lactose sweetness. It also helps to bring an eminent drinkability in a beer that perhaps you wouldn’t expect to be quite so drinkable. The TATE team get a guided tasting from Siren Brand Ambassador, Ruben. Along with elements of our recipe, The Starry Night also influenced our design. We love the vibrant colour palette and swirling motions that seem to draw you right into the scene. We commissioned freelance illustrator Ben Hasler to work with us on an interpretation that stayed true to our brand style, while stretching our traditional label design to aptly support the exhibition. Along with being a trusted partner of ours, Ben is also a bit of a Van Gogh fan, having previously produced a pixelated self-portrait of the man himself in a modern take. We couldn’t be happier with how the inspired design has come out. 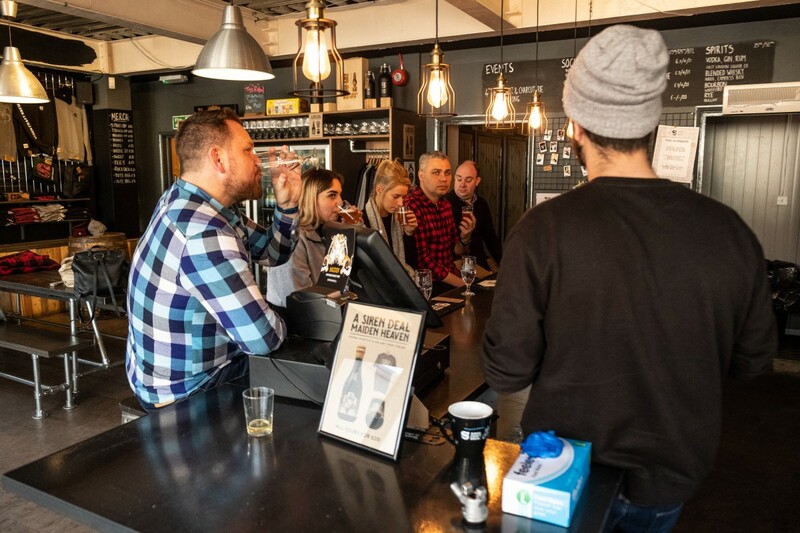 The worlds of art and beer often overlap, but that line really resonates with a young, growing and adventurous brewery. In fact, it’s a little too close to home for some of our brewers! Especially when brewing a beer like this one, which includes ingredients and processes well beyond a standard brew. 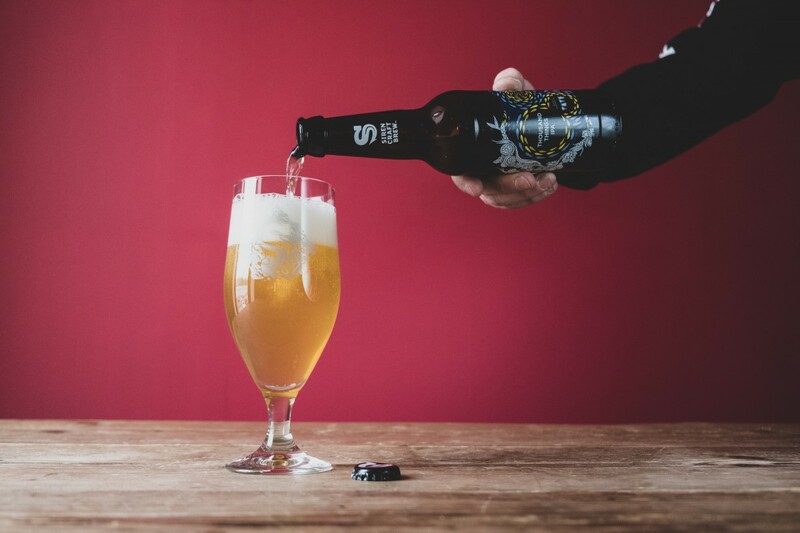 Thousand Things IPA will be available on the Siren Web Shop from Monday 1st April. From that date, and for the duration of the 6 month exhibition (whilst stocks last), it will also be available from TATE bars and restaurants. TATE EATS have curated some special menu items for the exhibition, so you can pair the beer with your meal.